Looking for a super cool motor-sports-themed poster or t-shirt? 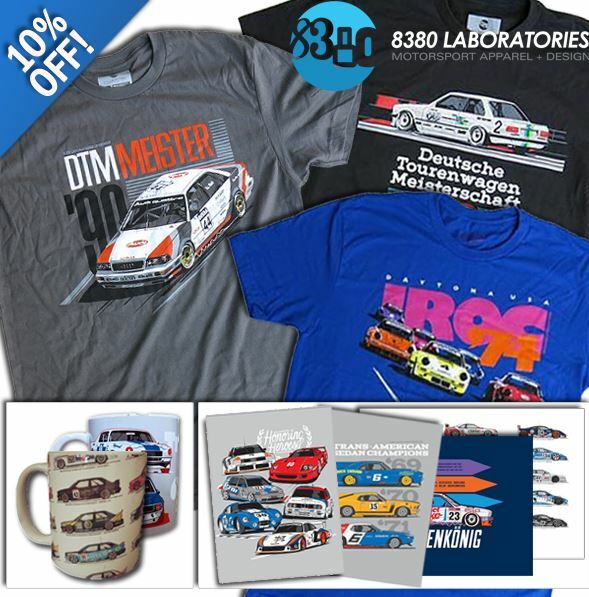 Check out the bold artwork featured on each 8380 product we offer covering historic events and successful race cars. If you're passionate about Porsche like we are, you'll appreciate Stephane Dufour's amazing artwork of these iconic air-cooled street and racing machines, now available as t-shirts. 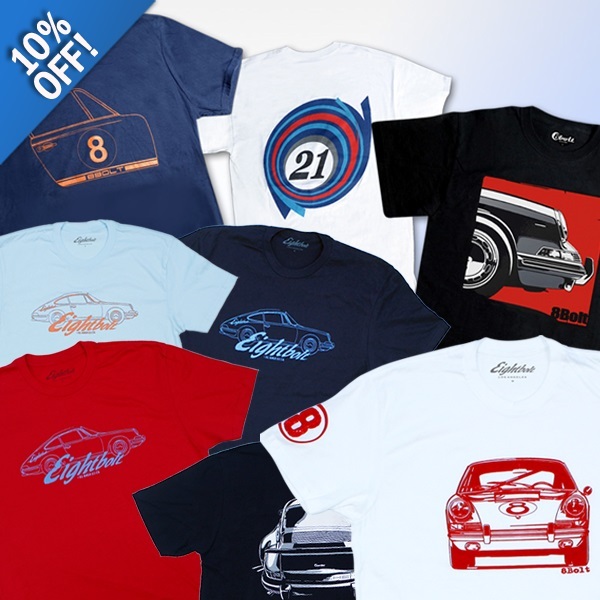 Licensed by Porsche, Stephane's eclectic perspective and attention to detail in each of his t-shirt designs has garnered praise from Porsche aficionados from around the world. Enter Promo Code 8BOLT at Checkout.